D Zee Designs specializes in Handmade baby and toddler items. 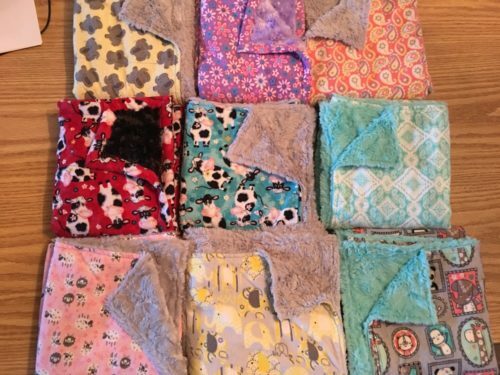 Our stroller sized cuddle blankets are a must for any new baby. They were the only way we could get our little Devynn asleep when she was little. 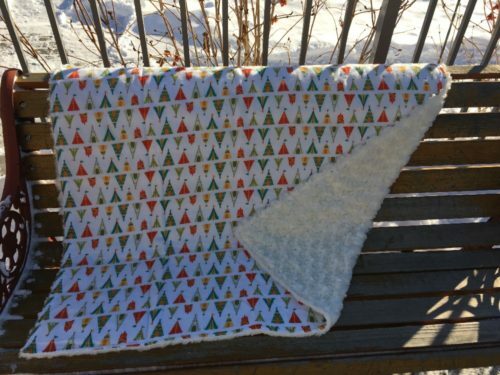 Blankets are ~30″x36″ and have a printed flannel side and a very soft minky backing. We have many in stock options and many prints to select from for custom orders. Need something else. Let us know we may be able to help you. Items can be purchased through our Facebook site and pick up in Edmonton or mornville area or shipping can be arranged. Items can also be purchased from the many trade/baby shows we attend through the year which are all listed on our Facebook page. Flannel fabric 35″x 35″ single sided with edges rolled.